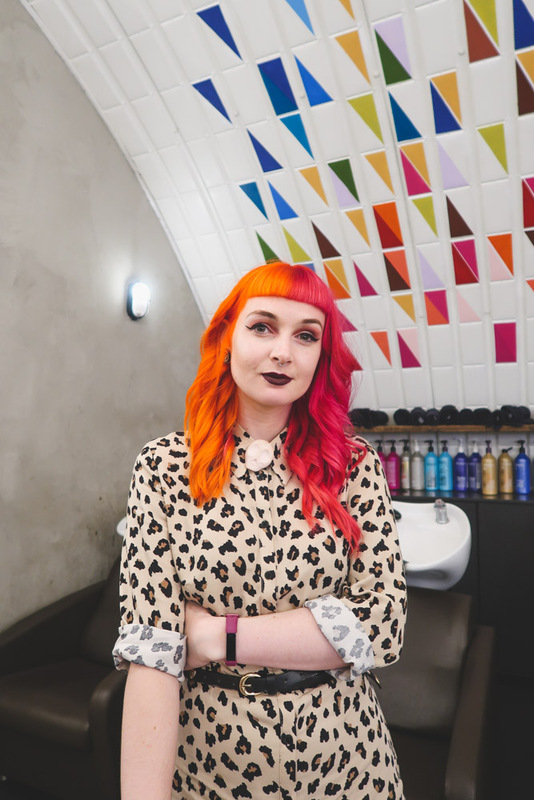 I’ve had bright hair for as long as I can remember, in fact, I remember way back in primary school I first dabbled in brighter hair. Mum bought me one of those wash in wash out Live colour shampoo packet things that gave my hair the slightest hint of purple, ever since then I was hooked on changing my hair colour, I felt invincible when I had brighter than bright hair. 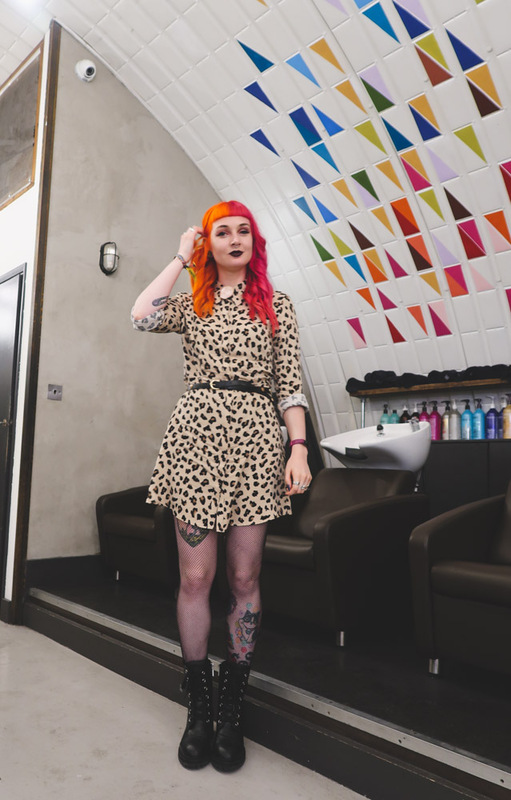 Unfortunately, things like school and some workplaces happened, meaning I had to make do with natural hair - something that felt really unnatural to me - I just never really feel myself unless I can have fun with my hair. So unless it’s not obvious my aforementioned intro ramble, my hair and hair experimentations are pretty important to me. Finding a good salon that actually understands and makes no judgements of what you want was something I found tricky to find. I remember going to one place in Selby, a town that I used to live in making me feel like a bit of a fool for something I wanted to be done - I get a hairdresser is supposed to advise and guide you with your hair choices and if they feel something wouldn’t suit you to say in a diplomatic way - but to shut you down completely before you’ve even finished trying to explain what you want was kind of lame. 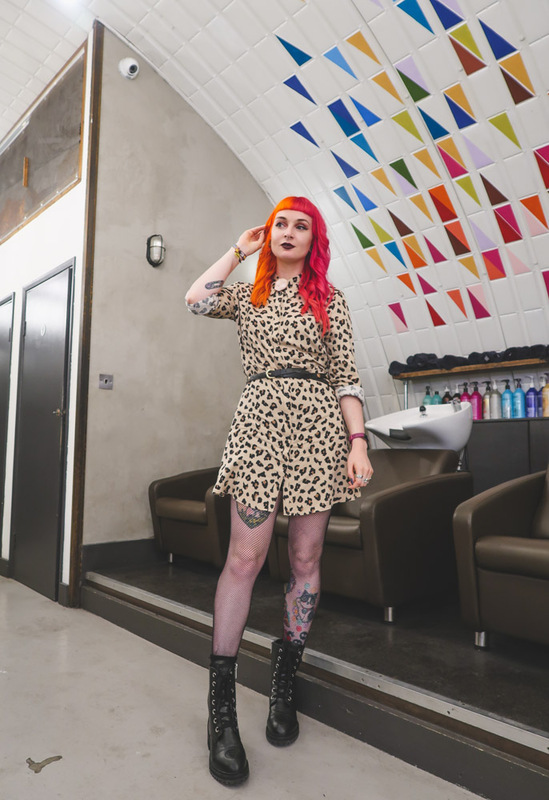 Luckily, the older I’ve got and the more I’ve had done to my hair, I’ve been able to find some pretty great places to have my hair done, by some pretty great hairdressers that actually listened to what I wanted doing. 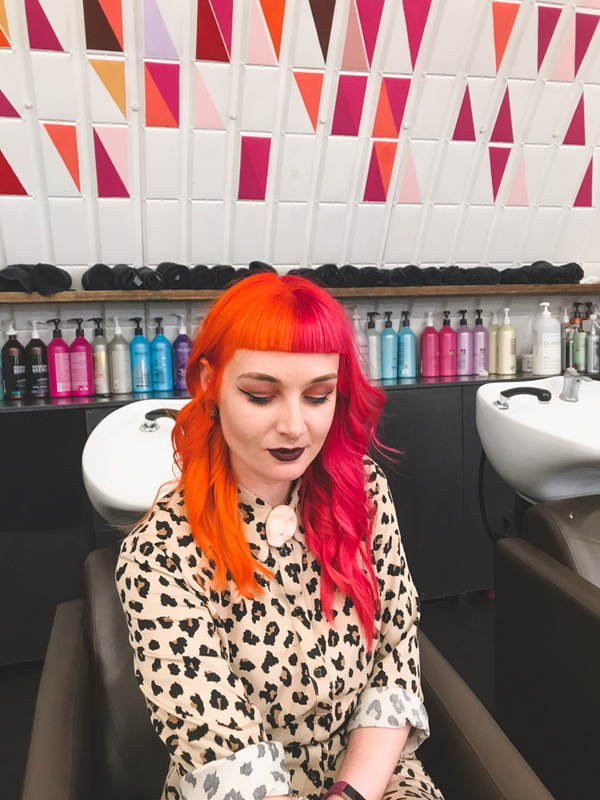 Luckier still, this year with my blog, I’ve been able to visit some pretty rad salons in the country that don’t practice prejudice when it came to the potential ideas customers bring for their hair. The latest salon I visited was Live True Hair Salon situated in Clapham London. The salon is actually in an arch of a railway line, which makes it a pretty cool building and space for a hair salon. As I’m super into my half and half hair at the moment and want to keep it like this for a while I opted for a colour refresh using the Redken City Beats colours. I also had my roots touched up as they were starting to grow out since my last salon appointment and had an Opalex treatment used throughout the process of bleaching and refreshing my hair. 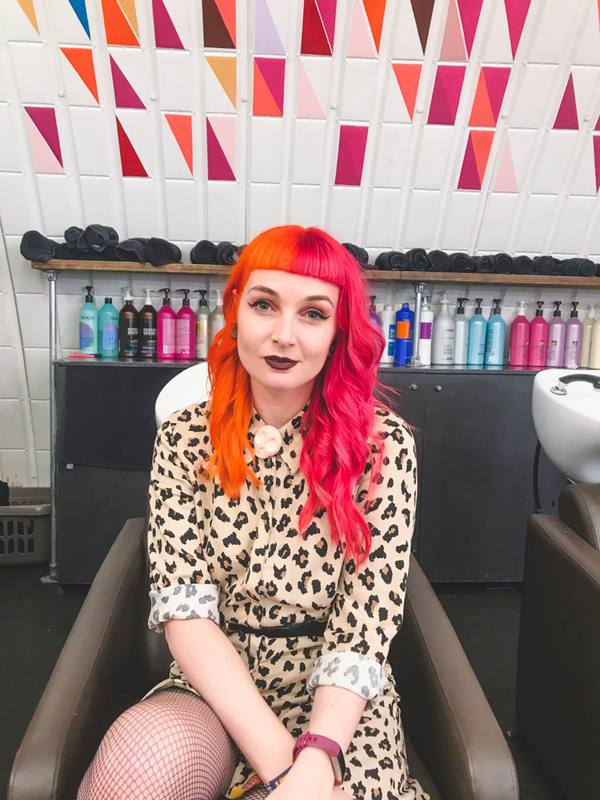 The stylist that coloured my hair took their time to bleach out any parts of my hair that had been missed previously and got rid of any dark patches that hadn’t budge from last appointments to give my hair a more even colour finish. Finally, I had my hair trimmed to encourage growth and my fringe chopped back in teeny tiny - just how I like it. It’s safe to say I was really pleased with the finished result. Thanks so much Live True for inviting me to get my hair done in your beautiful salon - I had a wonderful experience!